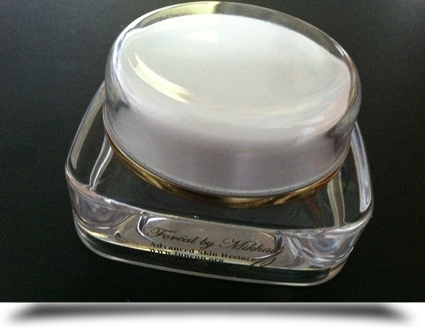 Mikhail Levitin Institute in Tannersville, PA offers Foreal by Mikhail, which is the ideal nutrition for skin. Advanced skin restore – External Nutrition for Skin is an integrative part of the healing circuit. It is paraben free formula and is one of the most effective treatments for your skin on the basis of its breakthrough ingredients, impressive scientific results. Dr. Levitin has thoroughly researched and perfected his invention since 1970. His innovative technological processes allow the creation of the formula that delivers its ingredients deeply into the skin to help reduce the appearance of fine lines and wrinkles with long lasting results. This formula also “plumps up” the skin for a fast lifting effect almost three times faster than the best products in this field. The ingredients have also been shown to help boost your own natural collagen production. Naturally fighting aging External Nutrition for Skin softens the skin so it looks smoother, it penetrates the skin's dermis better than synthetic creams so your skin appears fresher and more radiant, it restores the elasticity, and reduces roughness of the skin. External Nutrition for Skin is hypo allergenic and makes the skin look flushed and healthier due to the use of appropriate natural bio active ingredients, introduced in the proper ratio, that is a crucial element in working in harmony with the skin's natural composition to reduce the appearance of aging and restore damaged cells. If you were asked “Which is that one thing that you would like to preserve forever?” the answer would surely be “Youth.” We all fear old age. And we have every reason to do so. With age our skin loses its beauty. As a person approaches a certain age, undesirable wrinkles start developing. With the growth of wrinkles, our worries start growing as well, and many of us tend to become depressed. After all, everyone wants to look good. Before we discuss the outstanding benefits of this formula, let us first understand the cause of wrinkles. Our skin contains a protein known as “Collagen” and another protein called “Elastin.” With the advancement in our age, the ability of our body to produce these two proteins reduces considerably. 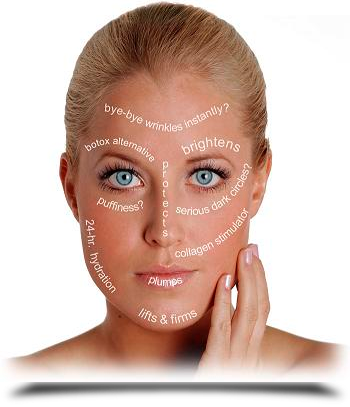 Moreover, aging also affects the texture of our skin. 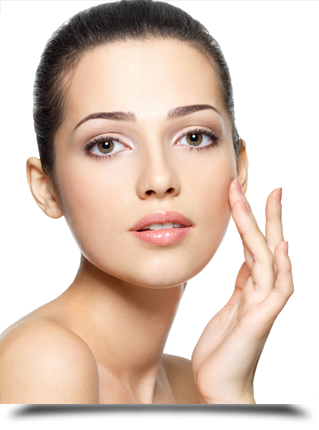 External Nutrition for Skin delays the process of aging and thus restores the beauty of your skin to a great extent. And it does so faster than any competitor (due to the use of the proper ingredients and the ratio). With advancements in the science of dermatology, significant improvements have been made in the cosmetics industry. External Nutrition for Skin is comparatively much cheaper than expensive "Botox" treatments and other cosmetic surgeries. The proverbial saying “An ounce of prevention is worth a pound of cure” does indeed hold true in this context. Providing the right kind of internal and external nutrition for your cells, maintaining a disciplined lifestyle and protecting yourself from “UVA” and “UVB” rays of the sun will definitely help you maintain your beauty and charm. After all, who doesn't want to make heads turn? The ingredients in the External Nutrition for Skin formula won’t hurt your face, won’t dry out your skin, and won’t cause any negative reactions. This is the biggest problem I’ve found in other products: they have bad reactions to the skin in large portions of the people who use them. Constantly growing fans of this formula are reporting that the skin looks stronger, tighter, and brighter than it did before they used the Advanced Skin Restore - External Nutrition for Skin formula. It lifts fine lines around the eyes, eye lids, and even the brow bone really well. It also treats the causes of aging, not just the signs. The ingredients help make the skin healthier so that wrinkles stay away longer and have a harder time coming back. The people who use it are all super happy (click here). Guarantee: 30 days 100% money back guarantee. A limited supply is available due to a very expensive technological production process, high cost of the ingredients, and costly quality control. Only one layer application and no multiple formulations in several different packaging for day and night time. Welcome to the Younger Looking People Team Now! Melt your body fat away with our invention, Super Slim Skin Restore, ointment for Anticellulite, Slimming & Skin Treatment is in a unique semi solid form that is very convenient and economical for application on your body, when it contacts the body it transforms into an extremely well lubricated silky like liquid form. Its effect is to have a High Lipolytic action, its efficacy boosted by Caffeine, Capsaicin, Silicon, along with Liporeductyl & Palmitoyl Tripeptide-3. Made of natural extracts, with soft texture and high penetration, our formulae helps to combat adipocytes & cellulite. Its high Lipolytic action (caffeine & organic silicon), provides faster degradation of accumulated fat on hypodermis, promotes Collagens Synthesis, increases blood circulation to combat cellulite; dihydromyricetin inhibits 3 key proteins involved in the proliferation and differentiation of adipocytes. It inhibits adipogenesis (the creation of new fat cells) by inhibiting calveolin-1, a protein that is needed to make specialized adipocyte surface structures, GLUT-4, which allows glucose uptake in the cells, and perilipin. The Palmitoyl Tripeptide-3 helps to decrease cellulite levels, blocking the excess sugar and inhibiting the fixation of the proteins (to eliminate the orange peel). For the best results apply to at least 30% of the body’s surface, cover it with clear plastic wrap and move for at least 45 min. INGREDIENTS: DEIONIZED WATER, REFINED SOY OIL, CAPRILIC/CAPRIC TRIGLYCERIDE, CETYL ALCOHOL, STEARIC ACID, SEAWEED EXTRACT (FUCUS VESICULOSUS), GOTU-KOLA EXTRACT, CAFFEINE, GREEN TEA EXTRACT, DIHYDROMYRICETIN, HORSE CHESTNUT EXTRACT, GINKO BILOBA EXTRACT, CARBOMER, ORGANIC SILICIUM, RUSCUS ACULEATUS EXTRACT, GLYCERINE, ETHOXYDIGLYCOL, AMINOMETHYL PROPANOL, ALCOHOL DENAT, MENTHOL, CAMPHOR , PALMITOYL TRIPEPTIDE-3, LANOLIN, PETROLATUM,LIPOREDUCTYL, AESCULUS HIPPOCASTANUM EXTRACT, IODINE SALTS, NICOTINAMIDE, CARNITINE, IMIDAZOLIDINYL UREA, OLEIC ACID, PROPYLPARABEN, METHYLPARABEN, Vitamin E, A &D.
USAGE INSTRUCTIONS: on clean skin(preferably after a bath) apply a small amount on the areas you wish to treat. Massage vigorously (circular movements) to penetrate the skin until product is totally absorbed; (better if you use surgical gloves to apply the cream). 1. Restores firm skin while softening it at the same time. 2. Helps to lose weight by stimulating a fat burning body process. 3. Shaping the body and helping to avoid the risk of wrinkles and stretch marks. 4. Reduces cellulite, improves skin-elasticity while enhancing the skin's healing processes. It protects skin-firming collagen and elastin, reduces the color of new stretch marks and stimulates their repair. It promotes more streamlined body contours and slows down the appearance of stubborn curves. 5. Helps heal dry, flaky, chafed skin. 6. Reduces minor aches and pain in the applied areas. Your diet plays an integral part of your overall physical and mental health and well-being. It is incredibly important to maintain the correct diet, not only for losing weight and keeping it off, but for the overall benefit of your entire being. You should always be careful of what you’re putting into your body, and we will advise you on what foods to avoid, and what you should be consuming more of as well. We use and recommend the best nutritional supplements (click here) as an addition to your regular daily caloric intake. Our shelf life is 1 year from the time your order was filled.